In Mark 12:1-12, Jesus teaches about the Parable of the Tenants. Please read this passage and think carefully about what Jesus is saying. This is the story of a man who plants a vineyard and then rents it out to some farmers/tenants. Later on the man sends his servants one by one to collect the harvest. But they are all beaten or treated shamefully or killed. What does this story really mean? The man in the story represents God. The servants represents His prophets that He sent. They were abused, shamed and killed by those very people He sent them to. 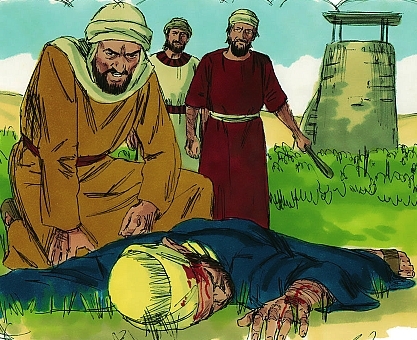 Verse 8: So they took him and killed him and threw him out of the vineyard. What do we learn from Jesus’ parable? Three truths. 1. After sending all the prophets, God sent His Son, Jesus, last of all. Can The Invisible God Become Visible? but my heart is praying to God to help in my vision to becomes a christian apologetics and please i will you to guide me through. May the Holy Spirit direct your heart and lead you in your growth as an apologist. I hope the articles on this site will serve as inspiration.